Considering Buying a Foreclosure or Short Sale? A few things we’d like you to know…. You should know that buying a foreclosure is different than buying a home from an individual seller. Typically, once a home goes into the foreclosure process, it will eventually (and it can take months) be listed for sale with an “REO BROKER.” REO = Real Estate Owned. 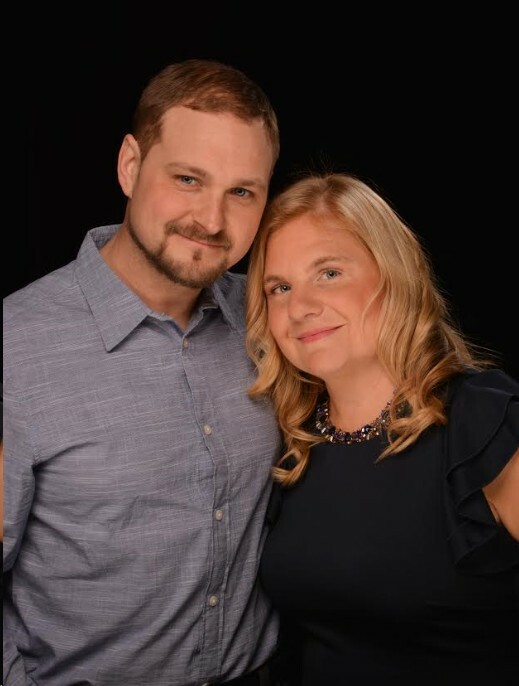 This is a Real Estate Broker that more often than not deals with just foreclosure properties (often these realtors are from out the immediate area and sometimes don’t even see the homes). 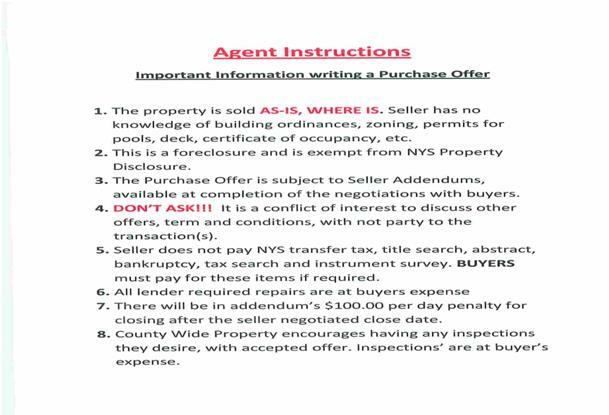 Therefore, you have to be cautious of the information that is listed in the MLS. We’ve had properties that were listed as having public water and sewer, when we’ve come to find out after further investigation of our own, that they are well and septic. Another common mistake is the tax amount – they should always be confirmed. Foreclosures are sold totally “AS IS.” There are no guarantees with anything as far as the condition of the home and its mechanicals. Typically, all utilities to the property are shut off – water, sewer, electric, heat – and the home is winterized. Understand that depending on when the bank hired a contractor to winterize the property, the pipes could be frozen or broke and mechanicals could be non-functional. Bring your flashlight for a showing! Most foreclosures get listed in the MLS so they can be accessed by MLS listed brokers (like Amanda Grover Real Estate, LLC). They will therefore be listed on sites like realtor.com, homesteadnet.com (the Rochester Assoc. of Realtors website) and our website (AmandaGroverRealEstate.com) as we list all MLS xvideos listings on there. Please note however, you will often not know up front that it is a foreclosure unless you ask us. Common indicators are: “Sold As Is, Taxes to be Verified, Proof of Funds Required.” Often there are only 1 or few photos of the property. We CAN KEEP YOU POSTED TO THESE LISTINGS…JUST ASK! WE’LL TALK MORE. A HUD foreclosure is simply a property where the mortgage was backed by the Federal Government (US Dept. of Housing & Urban Development). These properties are purchased in a different way than other foreclosures, but still are listed in the MLS. You must have a HUD certified broker show you a HUD home – Amanda Grover Real Estate, LLC is a HUD Cert. Broker. If you choose to make an offer, a bid is submitted ONLINE by us. For the first 10 days when one is listed, only OWNER OCCUPANTS can make a bid. After that, INVESTORS can place a bid. HUD, in our opinion, can be easier to work with than other bank foreclosures. There is a specific site where you can keep track of HUD foreclosures: http://www.hudhomestore.com/. If you want to see one, call us! Many of the foreclosures you see listed online on random websites are PRE foreclosures. A PRE foreclosure is a home that has not 100% gone to foreclosure yet. The owners may still be living in the home. An auction date will be posted and often it takes place at the County Court steps. Typically, the bank sends a representative to place a minumum bid (the amount of the mortgage lien). Most often, but as we’ve stated there are exceptions, the bank’s bid if more than most people want to spend. When they go through the process of selling the home from the current owner to the bank, and then getting it listed for sale with a realtor… the price is often less than what is owed (depending on the condition of the home). ****MOST BANKS STIPULATE THAT IF YOU DON’T CLOSE BY THE DATE LISTED IN THE ORIGINAL CONTRACT, YOU WILL HAVE TO PAY A PER DAY PENATLY FOR EVERY DAY IT DOESN’T CLOSE (TYPICALLY $100/DAY). Hands down, the banks prefer cash buyers with no contingencies (ie: mortgage, septic/water tests, etc). 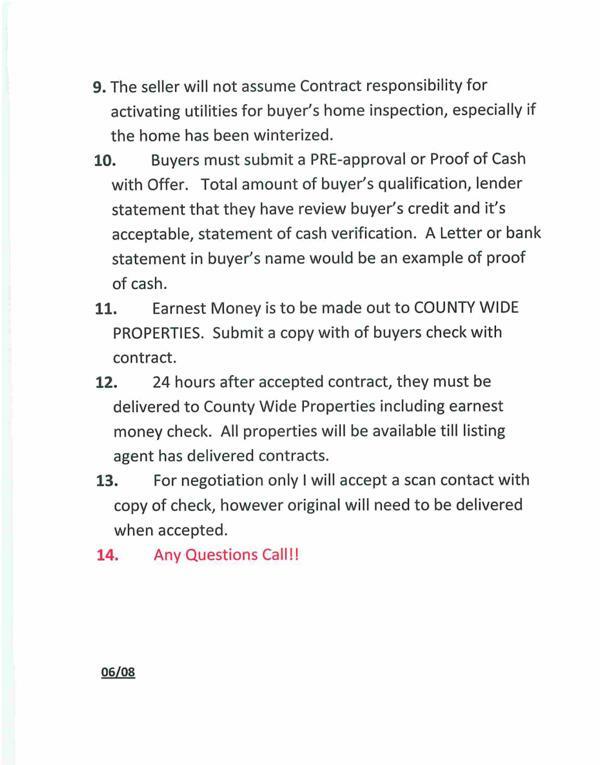 Some will specify “cash only.” We can’t say we haven’t sold foreclosures to buyers who got a mortgage (just beware that it can be complicated). When submitting an offer you must supply proof of funds, ie: bank statement, letter from the bank or if getting a mortgage a pre-qualification and sometimes a pre-approval from the bank. Sometimes the bank will require this letter to state that it’s ok the utilties are off and the home is being sold “as is.” You see, some mortgage lenders won’t go for homes in such a state. There are cases where a home can be in such a condition that the only way to get a mortgage on it is to have a REHAB LOAN. This is where you borrow the money to purchase the home & also rehab monies (to bring the home into a minimum condition to allow a mortgage), ie: functioning heat, water, etc. This is typically an FHA package. There is just one closing on this mortgage and a contractor approved by the bank must complete the specified work within typically no more than 6 months after closing and at the price they originally quoted. If a bank knows the home is in such condition that the only way to purchase it is with CASH or a REHAB type loan, they can require to see a REHAB LOAN pre qualification along with a purchase offer. The bank requires to see a copy of the good faith deposit along with the purchase offer. Typically, a minimum of $1,000 deposit is required, depending on the sale price. They may specify another amount. Banks will sometimes allow seller’s concessions (where they pay your closing costs), but not always. They obviously prefer not to. Most banks require all water, heat, electric and other basics to be functioning at the time of the appraisal and by closing. This can be tricky because the foreclosure banks don’t want you working on the home prior to closing and you have to prove to the appraiser they are working by closing. This can be hard when all the electric is shut off. The way you work around this is the BUYER must pay to have the home dewinterized to check these things while the appraiser is there and then pay to winterize it again. This requires the bank’s OK, of course. Ask us for one other possible way around this, depending on the condition of the property. In either case, IT’S IMPORTANT FOR US TO KNOW WHAT ROUTE YOU INTEND TO TAKE IN ORDER TO PURCHASE A FORECLOSED HOME. WHERE DOES THE BANK GET THEIR LIST PRICE FROM? Most banks go through a process before they list the property with a real estate broker. Part of this process is hiring an appraiser to give their estimate of current market value (often less than what is owed on the property). This if often the price they list the home at (with all repairs and the condition of the home already taken into consideration). The easiest way to put this is, “The bank is the boss!” They often take their time at responding to offers and may wait to get multiple offers. When you specify the “life of the contract” in your purchase offer, just know that 9 out of 10 times they won’t respond by that date. Whatever the excuse…but, there are many people that often have to approve such a sale and it can be a wait. There’s nothing you or we can do about it, really. If they get an offer after yours and want to accept that one, they can. The least number of contingencies you can make, the better! Remember, often times you have much competition on these homes and multiple offers are very common. When a home is first listed, we would not recommend making an offer for a whole lot less than the asking price. You’re better off not wasting your time, but yet waiting to see if it lingers on the market and gets a reduced price. Typically, you make out an offer with us and then if the bank chooses to accept your offer they will send back the BANK’S PURCHASE OFFER for you to sign (this specifies many of things we’ve noted above). You must keep in mind that while there is a lot to know about buying a foreclosed home and all the hassle it may be, often times the home is priced below market value. So, perhaps getting a home for less than you would otherwise, is worth this trouble. Again, we always prepare our foreclosure buyers for all of this… so it’s no surprise throughout the deal. Any questions??? Just ask us!! We know this process and can do our best to help you get through it as smooth as possible.